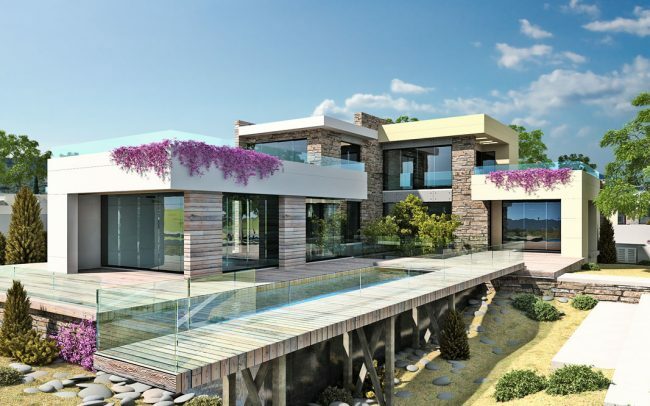 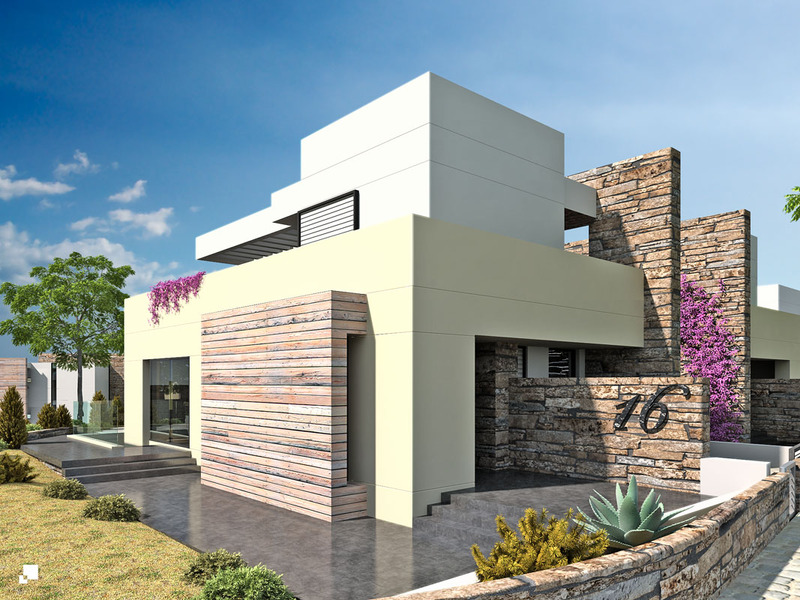 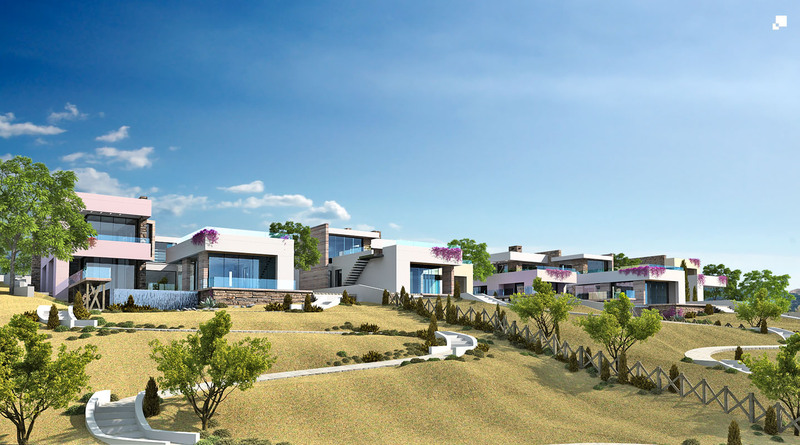 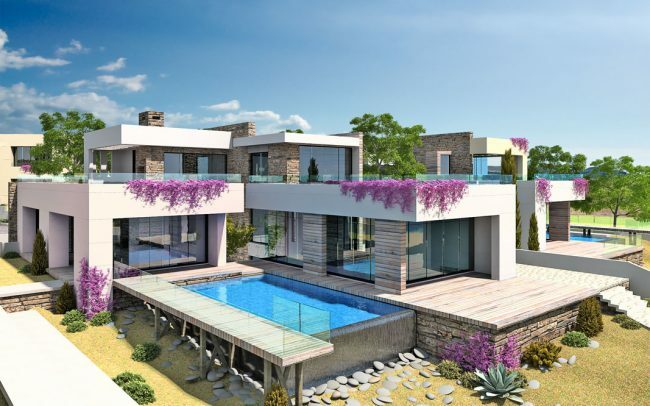 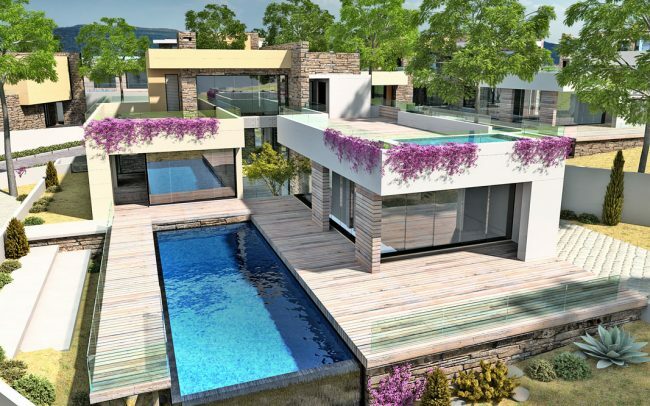 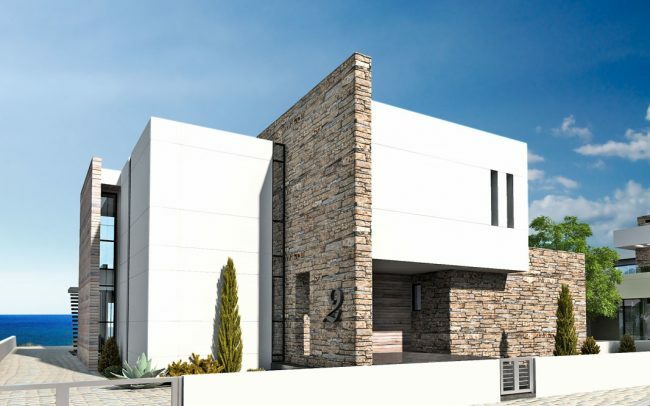 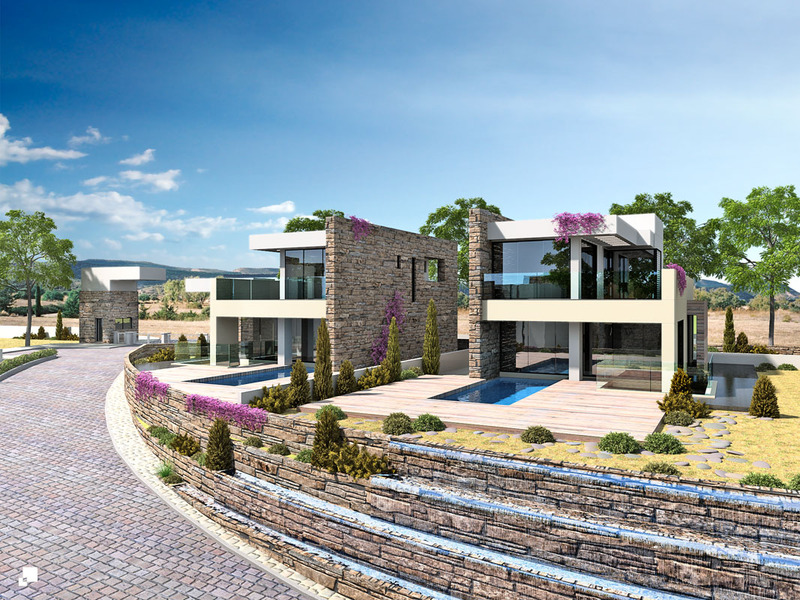 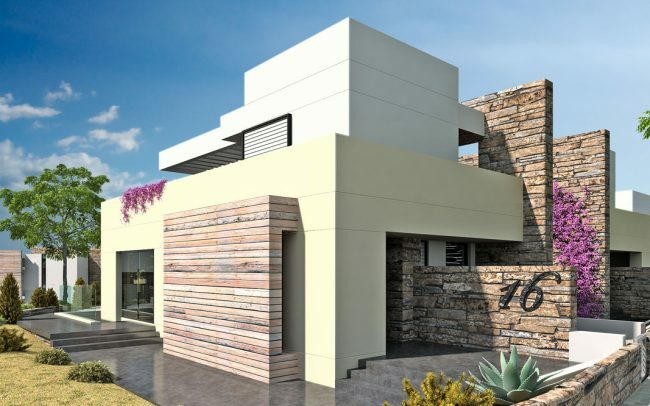 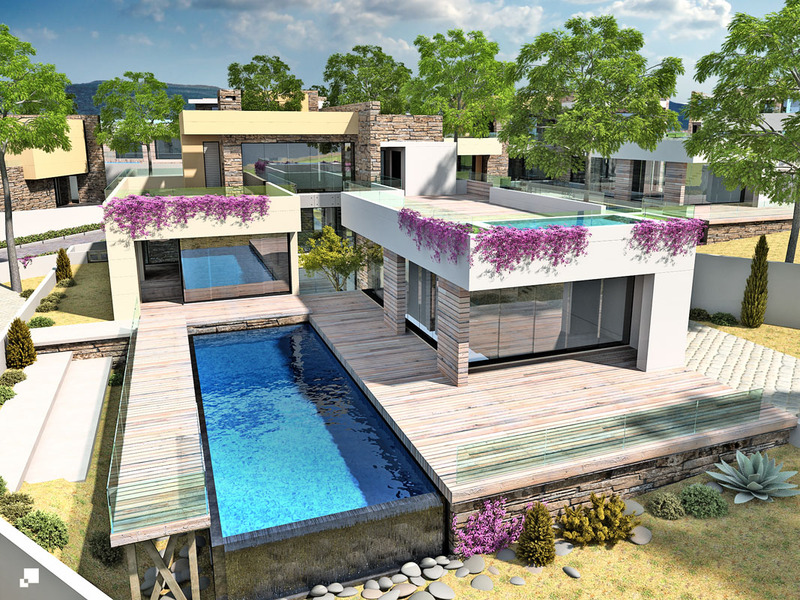 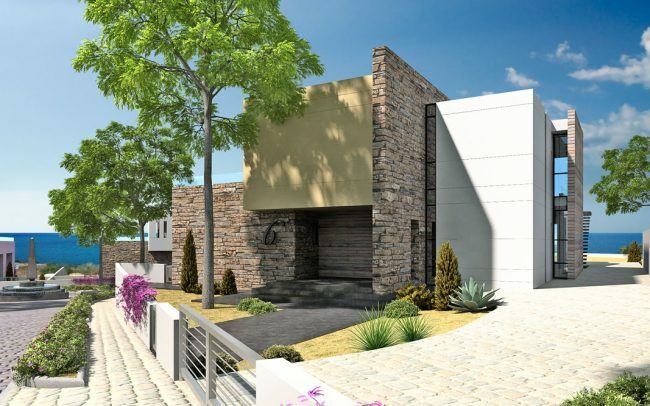 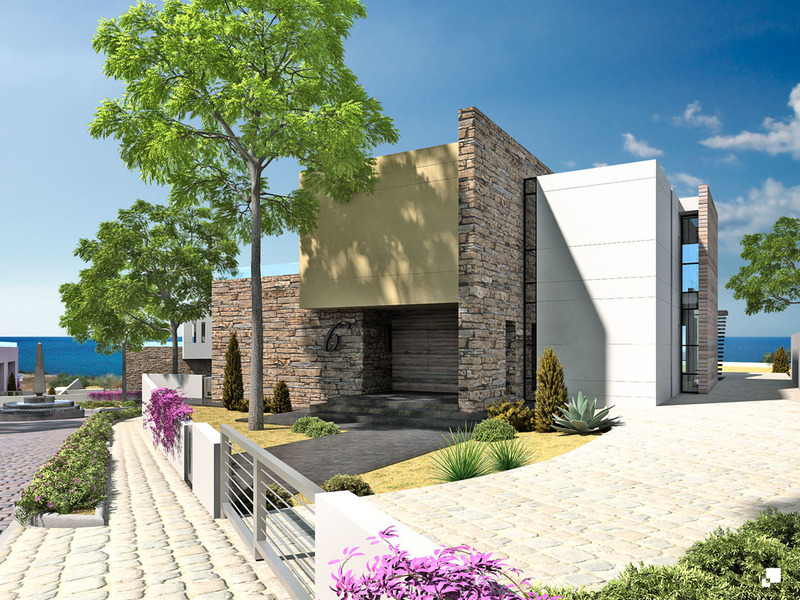 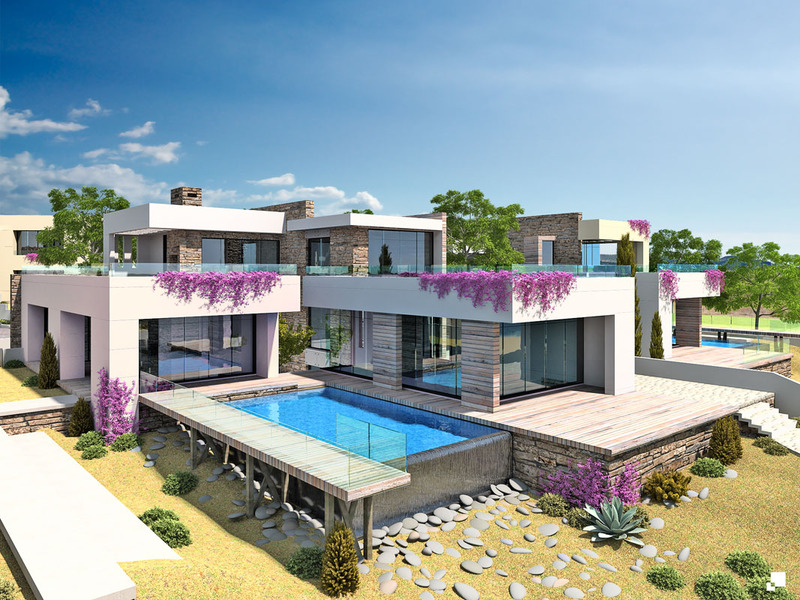 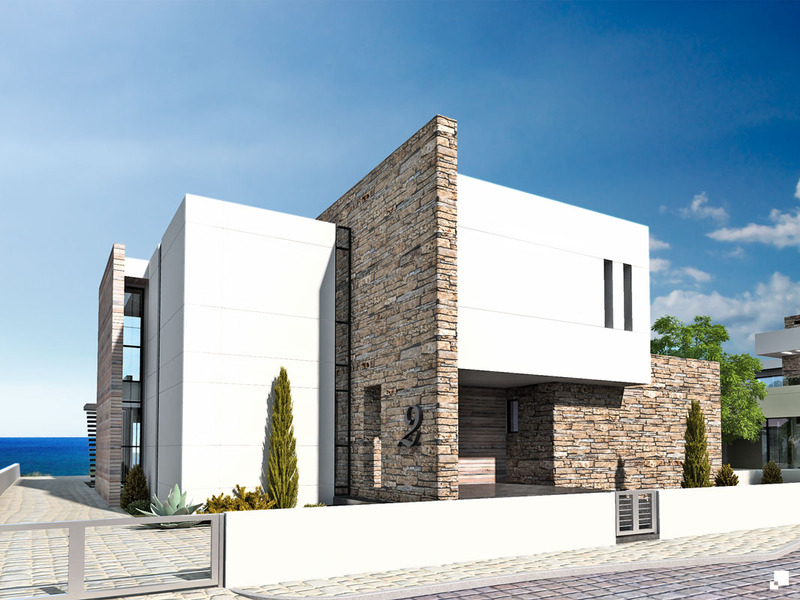 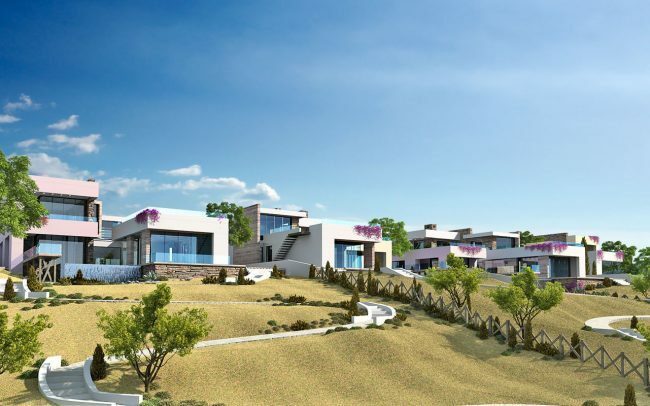 A unique residential development on the North West coast of Cyprus, surrounded by the beautiful natural reserve of Acamas. 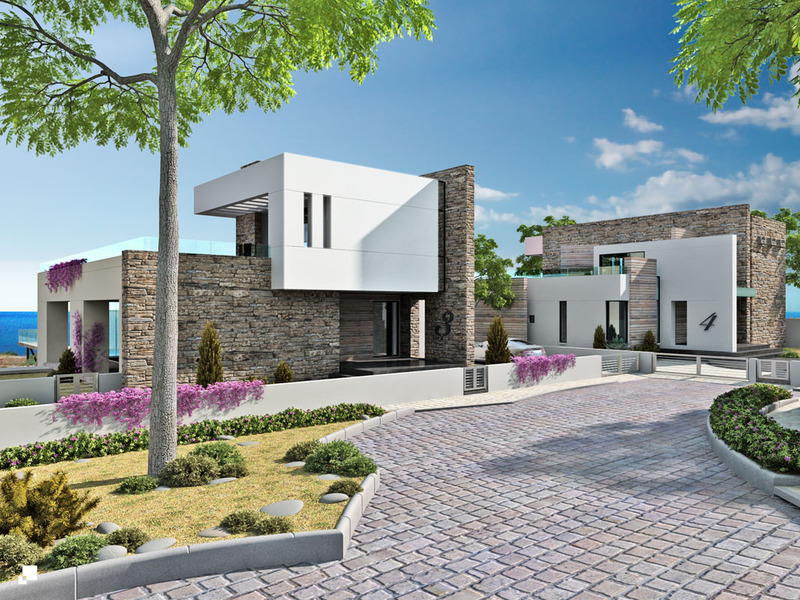 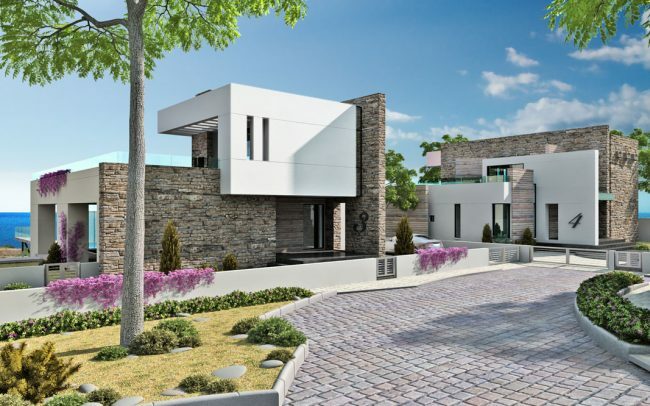 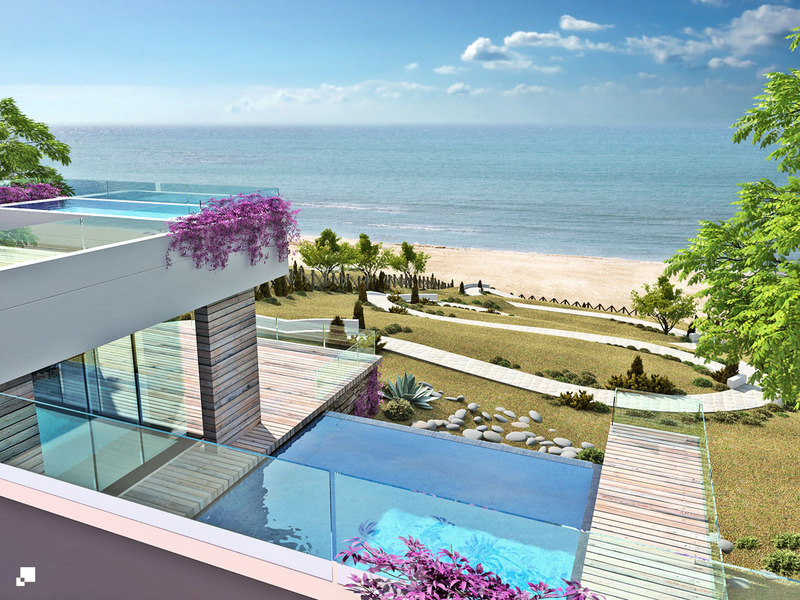 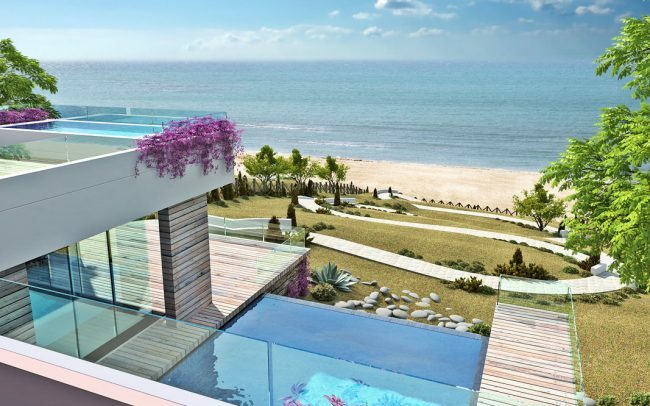 This exclusive development consists of three, four and five bedroom villas designed around a central boulevard leading to the sea. 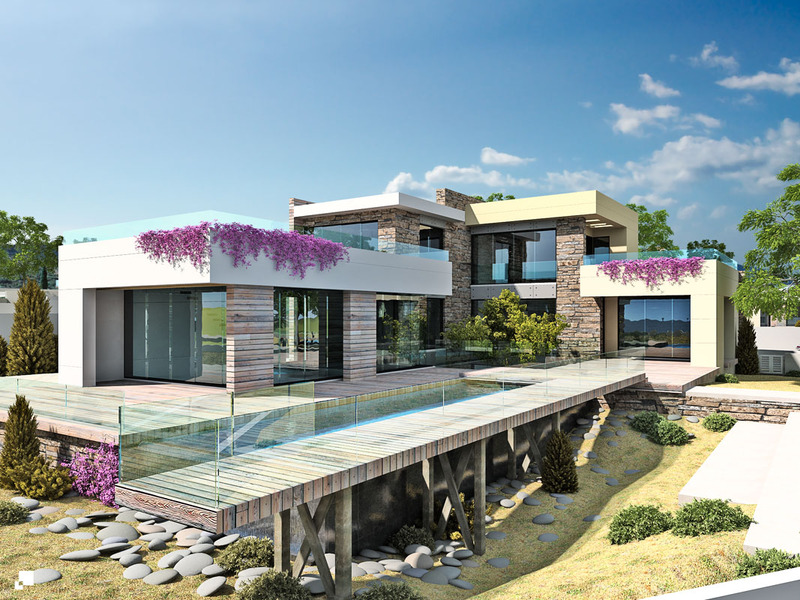 The unusual design of the villas comprises of; sunken courtyards that introduce light and air to all the lower ground floors; infinity pools merging with the sea views; and large glazed areas and open terraces at different levels which allow the interior and exterior to coexist in a relaxed and effortless manner and connect the landscape to all the internal living spaces. 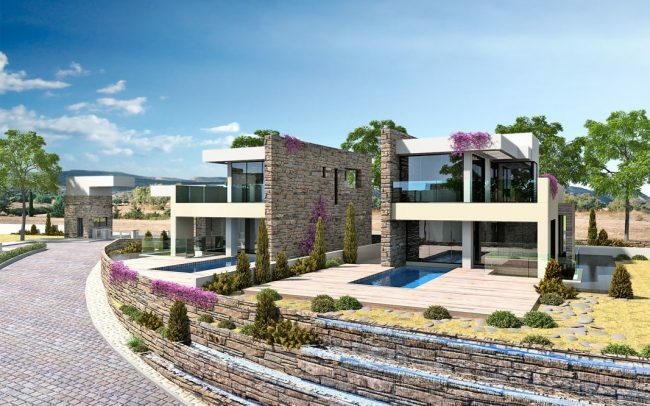 Planes of rough cut local stone are set into the landscape organically reinforcing the dramatic effect of the villas rising out of the rocky scenery.